United have enjoyed great success against Arsenal, a supposed big team, so any victory would be seen as morale boosting and continue what has been slow but steady improvements, particularly against teams typically in the top four. The two defences set up in very different ways; United’s as a back three and Arsenal as a back two, essentially a pared down back four. 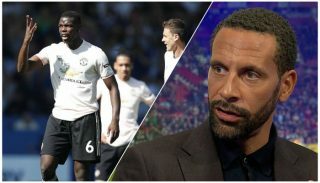 This gave Arsenal a significant advantage as they pushed the play on to United, whose midfield four or three depending on where Wayne Rooney was, struggled to come to terms with the way Arsenal played a staggered midfield formation. The less than dynamic Michael Carrick and Marouane Fellaini couldn’t get to grips as part of a 3-4-1-2. This isn’t a criticism but a reflection of United’s attempts to play Arsenal as they always play Arsenal. Pace on the counter, thus explaining van Gaal’s post match explanation of putting Angel Di Maria on Per Mertesacker and Robin van Persie on “our friend” Nacho Monreal. There was an interesting scenario in the early portion of the game where United tracked players to 30-40 yards beyond the edge of the box. The most noticeable instance of this was Blackett taken out of defence by Oxlade-Chamberlain. The Teenage Mutant Ninja Turtle faced one created 5 of Arsenal’s 20 chances. 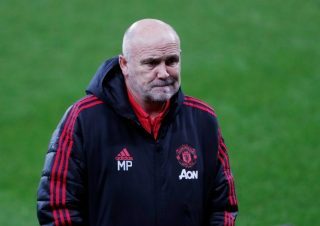 The defence has been under scrutiny this season for lack of opportunities in the transfer market, injuries and perhaps Louis van Gaal seeing what the youngsters had to offer; in this game they showed that. Luke Shaw and Tyler Blackett excelled and their comfort on the ball very pleasing. In addition, Blackett deserves special mention for how well he stays on his feet, rarely diving in; Phil Jones take note. Smalling also deserves a mention as he made 5 of United’s 10 interceptions. This was a game for him where he wasn’t expected to carry the ball out often. This success manifested itself on the right hand side where Antonio Valencia played a much higher line. Thankfully Arsenal’s lack of width saw Danny Welbeck try and fill the space behind thus taking out the threat of a striker. The irony of Welbeck’s positioning wasn’t lost. 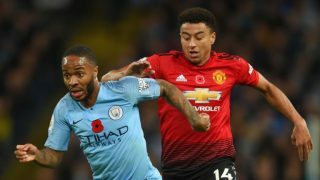 It meant that Arsenal enjoyed plenty of activity in front of United’s defence but it was from Arsenal’s midfield which was less of a worry, especially as their passes behind United’s defence were not taken advantage of thanks to the immense performance of David de Gea who deserved his man of the match accolade. An injury to Shaw saw him taken off for modified wing back Ashley Young. It wasn’t until the 37th minute when United had a real chance through di Maria resulting from a great break. Sound familiar? What this did show though was how Arsenal dropped to a 4-5-1 when defending. 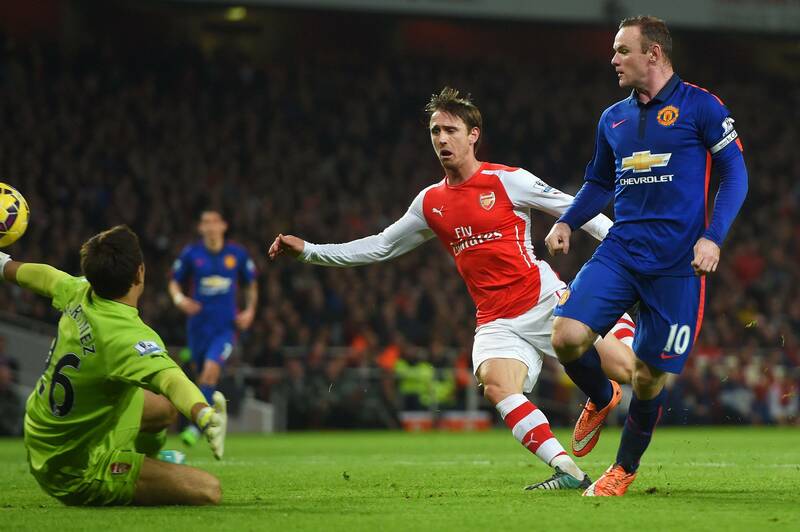 There was no doubt Arsenal were the team on top but there lack of precision meant United still looked comfortable. Their defence now more compact than on the first half was immense, as were the wingbacks yet our forwards didn’t gel and without reading too much into things, di Maria’s body language seemed out of sync with his team mates. Maybe we’re being too sensitive? Arsenal were in a diamond of sorts which was a continuation of their first half line up but we saw a significant amount of square passes, strange considering the degree of success their balls behind the defence had previously had. United’s front three, marooned in the first half, became closer but still there was very little contact. Van Persie looks anything but a deadly attacker. He made three passes all game and that’s not a satisfactory contribution. Then… BOOM! 1-0 to United and you knew it was coming. A good cross from Young saw it end up with Valencia who made the most of the space in front of him, which Arsenal allowed him. His strike struck Kieran Gibbs and went in. We then saw a modification to Arsenal’s defence which went to a back three but in a triangle with Mikel Arteta at the head. 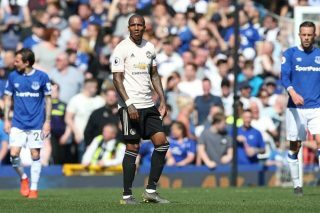 Young continued to make an impact on the game, pushing Calum Chambers back as di Maria played slightly wider but it was Young’s opposite Valencia who caused the damage, particularly involved in the passing combinations with Fellaini who then moved it in and on. Rooney was now the forward pivot and his energy was useful to Fellaini and Carrick in forming a screen in front of the defence. The wide ball to Welbeck was Arsenal’s main outlet. Arsenal superior in the possession stats became frustrated, saved shots and missed opportunities paved the way for Jack Wilshire to act the fool. The noticeable element as the game progressed though was how stretched and how, as Arsene Wenger agreed, naive Arsenal’s defending was. Their players pushed up and when United took a 2-0 lead, BOOM, Mertesacker didn’t even make the effort to track back; their 4-5-1 from the first half had vanished. This was United’s first shot in target; not bad. The goal was a breath of fresh air and supporters refreshed their memories of previous goals similar, Rooney and Ronaldo the obvious examples. Arsenal failed to learn their lesson when a similar opportunity befell di Maria, it was unfortunate that he was unable to take his chance. To increase the pace available to United, James Wilson came on for van Persie who’d had 12 touches all game! The gloss was taken off a little when substitute Oliver Giroud scored after a great strike. It left the extra 8 minutes injury time an anxious wait but the result was never in doubt. Both managers expressed disappointment at the way their teams played but United supporters surely couldn’t share van Gaal’s sentiment. This felt like another big performance against a top four team. 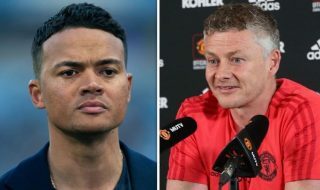 Chelsea, City and now Arsenal have shown that there are seeds of improvement; sporadic, i.e., Smalling and Valencia but much more confident as a whole. The two mentioned were stand out performers and deserve the plaudits as part of a back three vintage which was under a lot of pressure. Zero failed clearances! The midfield did well and adjusted to the Arsenal player’s attitude of threaded balls in the first and closing the gaps in the second-half. Arsenal has won only one after their last fifteen games against United. A big team? Not when they play us.